The iPad. Pop culture’s plaything and #edtech’s (somewhat dimming?) neon sign. It’s an app library, a media consumption device, and a mobile learning tool that makes yesterday’s graphing calculators, smartboards, and laptops look like abacuses. So we buy them then—by the truckloads, in fact. We stamp them as district-owned, give teachers a few PDs that show them some tools and advise them on “district policy,” and then expect miracles. It is unclear exactly how and where we expect those miracles to show up. Student satisfaction surveys? Learner engagement? Test scores? To establish how we can maximize the impact of the iPad as a learning tool, we first have to establish what kind of impact we’d hope to have. In this case, we’ll settle on understanding (as troublesome a term as that might be): Students being able to think critically about chosen standards or curriculum, and apply understanding in diverse, academic and non-academic environments. With that as the goal, here are some ideas. The Zone of Proximal Development, critical thinking, transfer, backwards planning, clear learning targets—none of this has changed just because the iPad’s in the room. When planning using the iPad, do your best to not think iPad-backwards, but content-backwards. 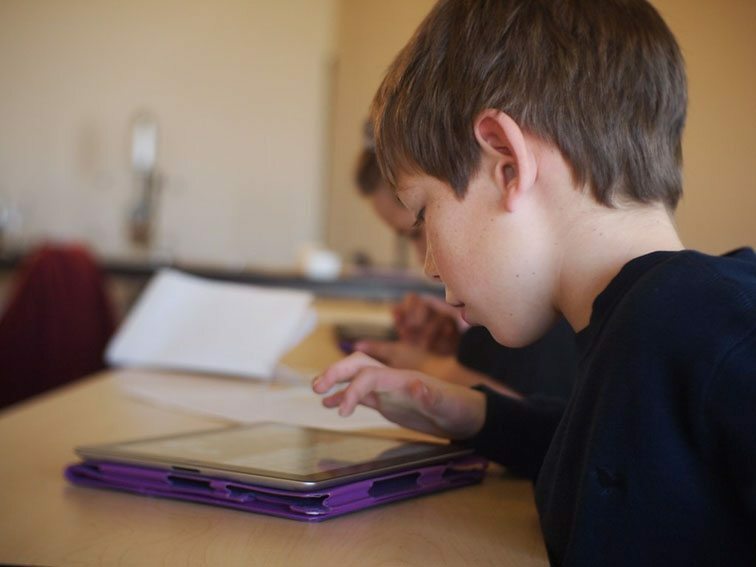 The iPad is more flexible than the curriculum–it’ll figure it out. The iPad provides access to peers, authentic communities, or content (whereas a textbook would only provide access to one of three). To maximize how it functions as a learning tool, consider what it does well in addition to what you (and learners) need, then find the overlap. 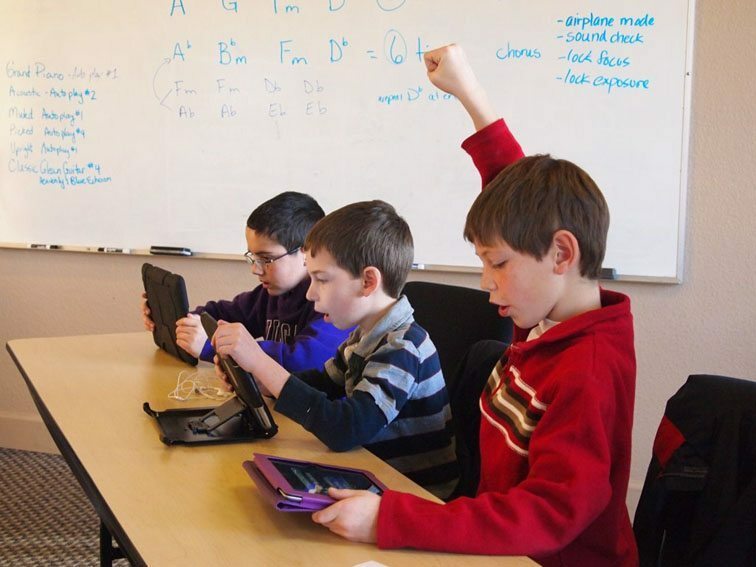 If students aren’t demonstrating an ability to apply thinking in new and unfamiliar circumstances, the iPad will “engage” and flaunt its magic more than it will promote learning. Insist on transfer. 4. Make student thinking visible. The iPad can publish—so publish! Allow learners to share thinking not just with you, mom, and dad, but the local university, the group on linkedin dedicated to video game development, or organization in Calcutta that collects old technology pieces for use in tech-barren classrooms. 5. Publish the process as well as the product. Having students revisit and refine “old thinking” is among the many way learners learn. As they create concept-maps, record video blogs, make short films, or practice math computations, the beauty of digital work is that it can be saved, viewed, and revised in the future—and easily too if it’s curated properly. More than the projects themselves, Project-Based Learning is about the process–a process of providing constant, authentic opportunities for students to demonstrate mastery of content. Almost everything PBL requires (outside of word processing), the iPad excels at. 8. Show me, help me, let me. The Gradual Release of Responsibility model works without the iPad. It will work with the iPad as well, only the “let me” part will be far more elegant and easy-to-publish. 9. Clarify role of iPad while planning. Create a basic concept map between learning goals and the iPad as you plan. 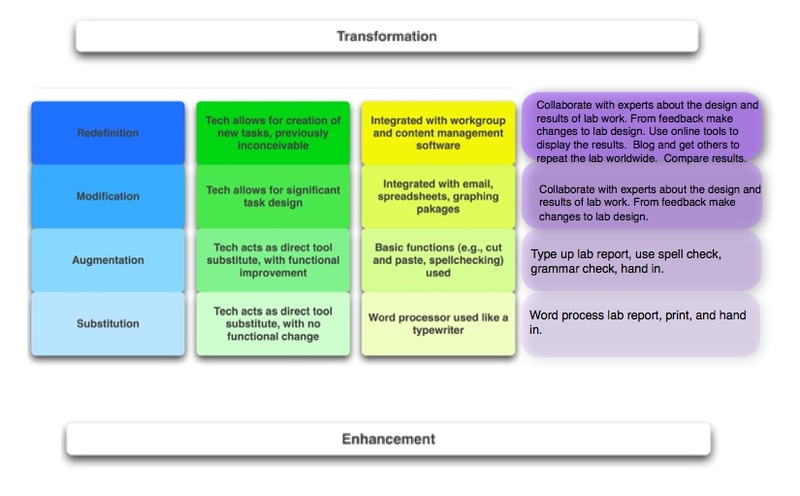 (The SAMR model can come in handy here.) This can help you see the macro view of exactly how you hope for it to function in the learning process, rather than something to squeeze in. 10. Ensure the ZPD applies to content, process and technology. While students may be able to handle the content, using an app or local WiFi network may stump them. The reverse can also be true (and probably more often is), where students can breeze through using the technology, but aren’t quite sure how you want them to use the technology, or may hit a wall with the content itself. The best iPad-supported learning will be within a student’s ZPD for all three areas. The post Unlocking The Learning Potential Of The iPad appeared first on TeachThought.